Enduro mountain bike race in Cumberland, BC. Comox Valley, Vancouver Island, British Columbia. 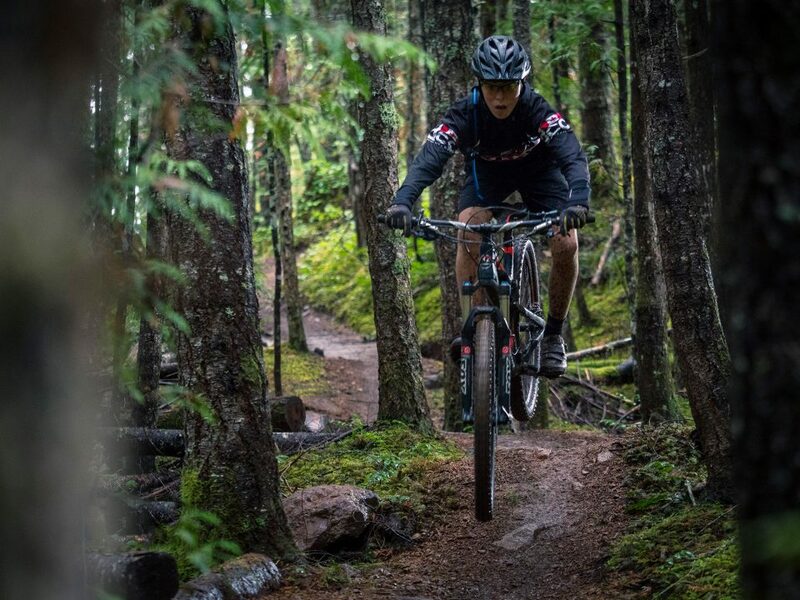 Young mountain bikers from across B.C. will soon have the opportunity to test their mettle on Cumberland’s legendary “all killer and no filler” trail network, as the 2017 B.C. 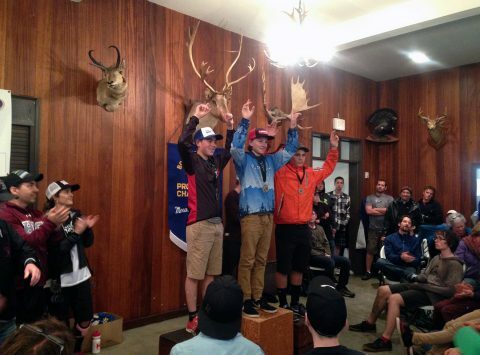 High School Mountain Biking Championships descends on “Dodge City” May 27. At last year’s B.C. High School MTB Championships in Coquitlam, a strong showing from Comox Valley SD71 athletes ended with the Grade 9 boys sweeping their division. Grade 9 racers from the Comox Valley owned the podium at last year’s High School Mountain Biking Championships in Coquitlam. This year’s championships are being held in Cumberland May 27. The 2017 Championship is open to all B.C. high school mountain biking teams. With divisions ranging from Grade 8, Grades 9/10 and Grades 11/12 – with XC and enduro categories offered for each age group – all entrants must be individually registered by their coaches. Pre-race registration opens at 4 p.m. on Friday, May 26 at the Riding Fool Hostel on Dunsmuir Avenue, with the first race beginning at 9 a.m. on Saturday, May 27. The Championship wraps up with UROC’s famous post-race BBQ, plus the award presentation, at 12:30 p.m. on Saturday, May 27 at Village Park in Cumberland. Coaches must register each racer individually, and schools will be billed $15 per student registered, which includes entry fee and BBQ lunch. To register, coaches can follow the links on http://bchsmtnbikingchampionships.weebly.com.